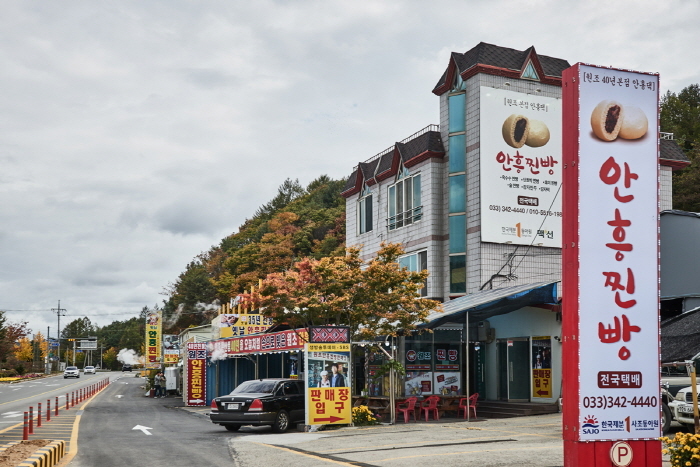 Take a bus from Dong Seoul Bus Terminal to Anheung Bus Stop. 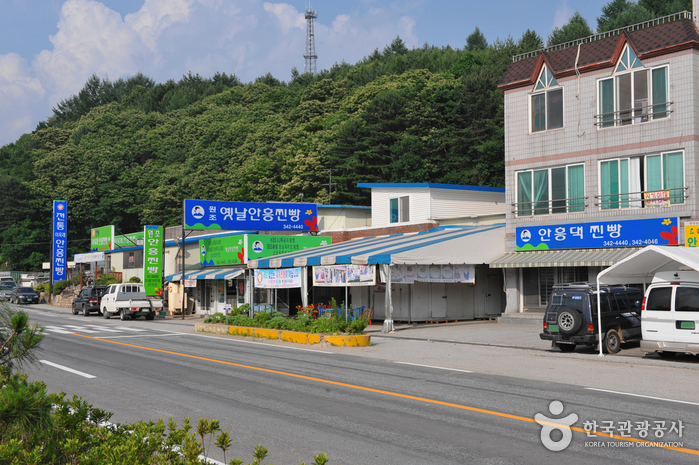 The village is located within 170m. 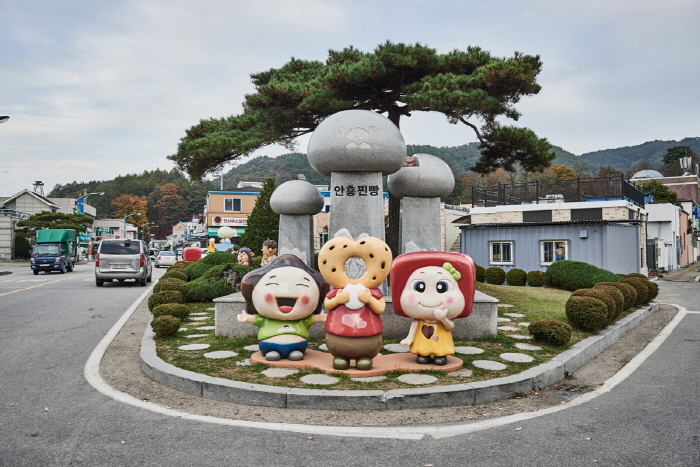 Anheung Jjinppang Village is located along National Highway 42, connecting Seoul and Gangneung. 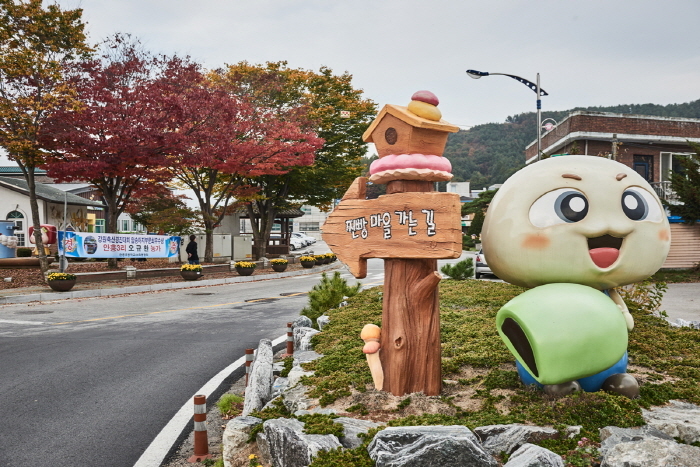 Travelers passing Daegwallyeong on their way to Seoul from the Yeongdong area often stopped here to have a light lunch from old times. 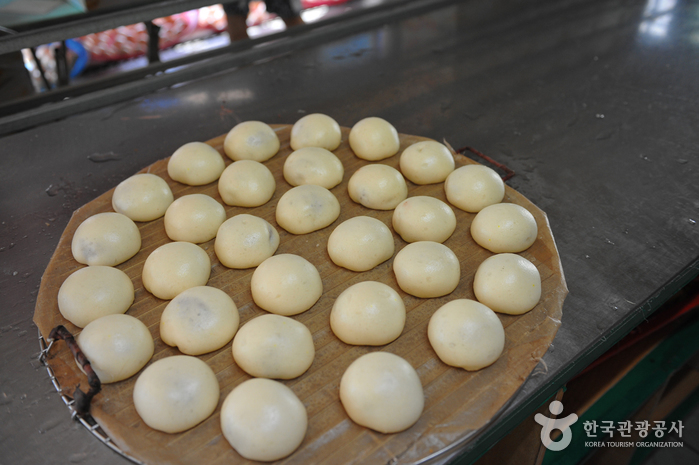 Anheung jjinppang (Anheung-style steamed bun) was enough to satisfy their hunger. 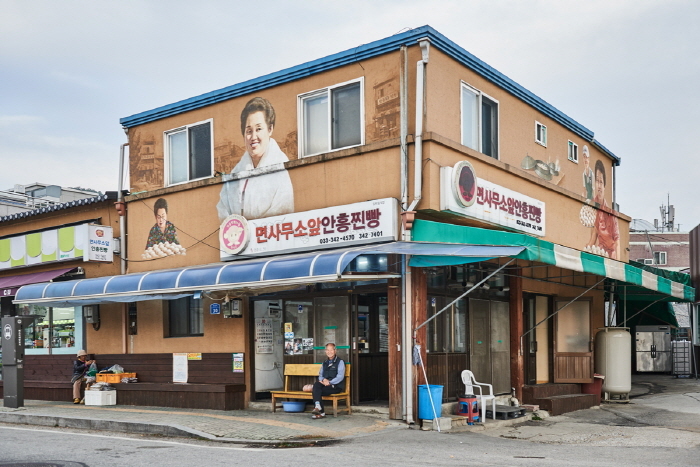 Over time, Anheung jjinppang has become one of Korea's famous nostalgic snacks. 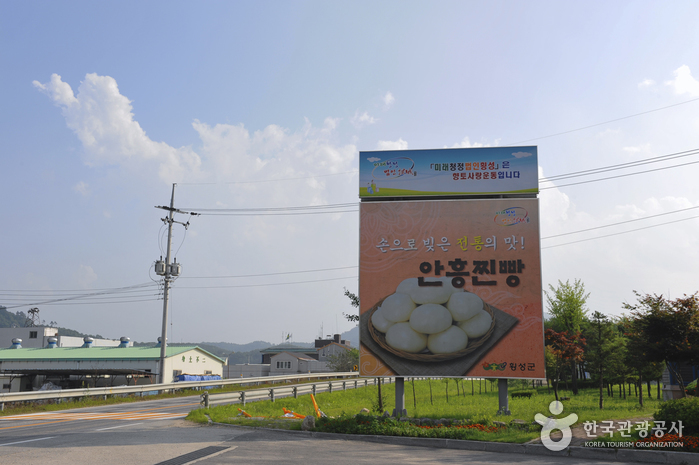 Jucheongang River, beginning from Taegisan Mountain and flowing through Yeongwol, offers the proper humid condition perfect for the bun's aging process. 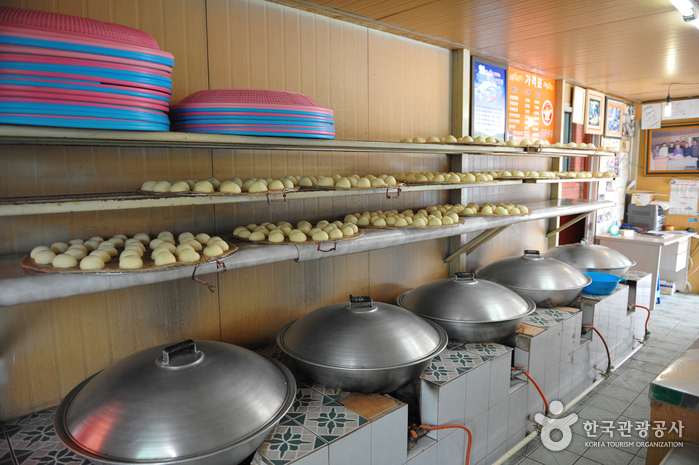 As of now, there are over 10 shops dedicated to selling steamed buns in the village. 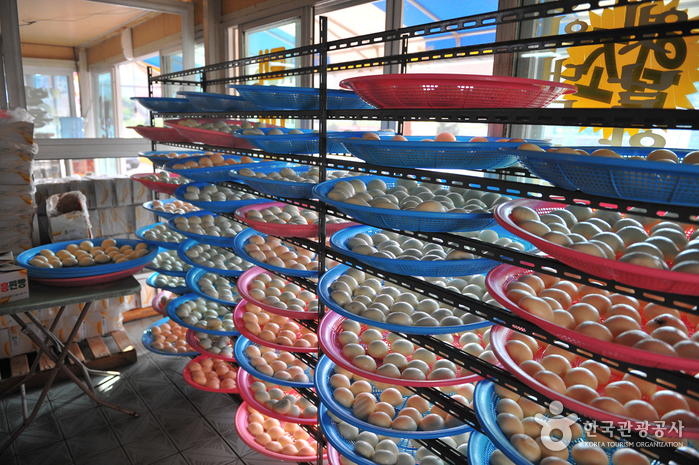 Since the early 1990s, over one million people have come to Anheung Jjinppang Village to get these steamed buns which became popular through word-of-mouth. 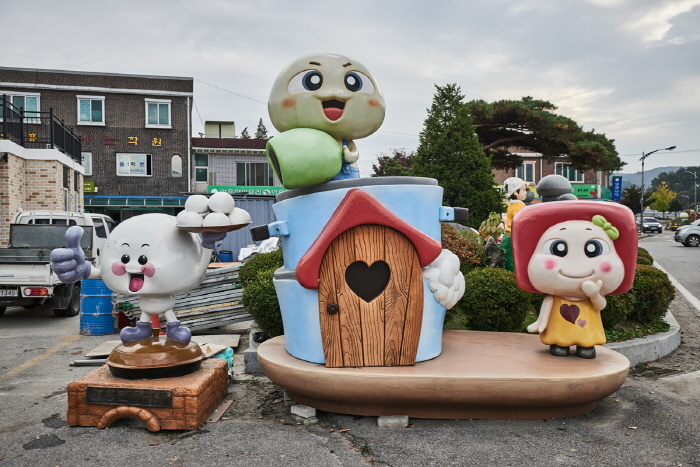 Anheung jjinppang is made with high-quality red bean, using the traditional cooking process that creates the homemade flavor, which is immediatedly recognized by the mouth that has become used to instant foods.